One or more photo(s) has been virtually staged. QUAINT AND COZY TOWNHOME. 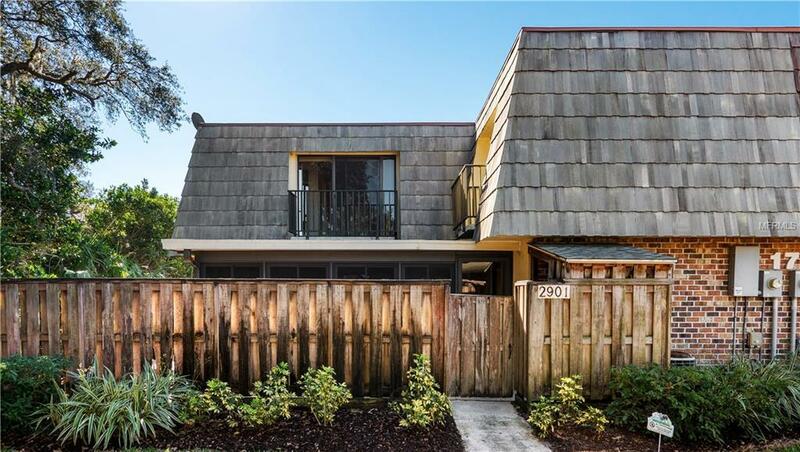 This townhome features 2 bedrooms, 2.5 bathrooms, dining area, breakfast bar, and is 1,288 square feet. 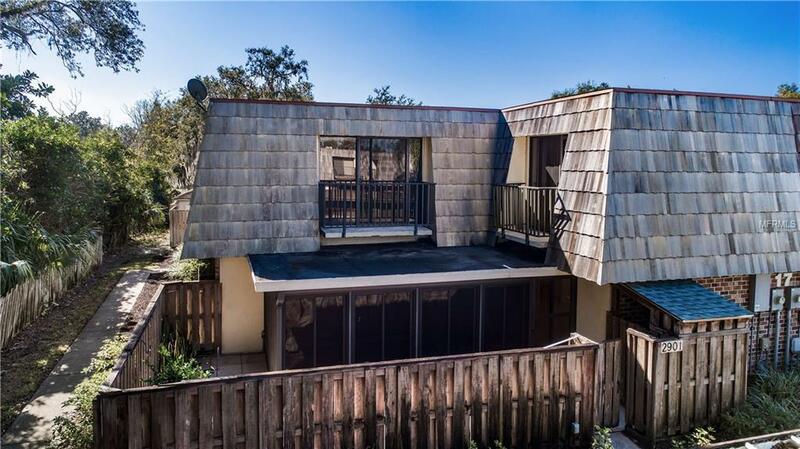 The interior features all NEW carpet upstairs, freshly painted upstairs and down, NEW mansard roof 2014, tile on the first floor and sliding glass doors walking out to the covered, enclosed lanai. The kitchen features, all appliances, breakfast bar and sliding glass doors to the lanai. 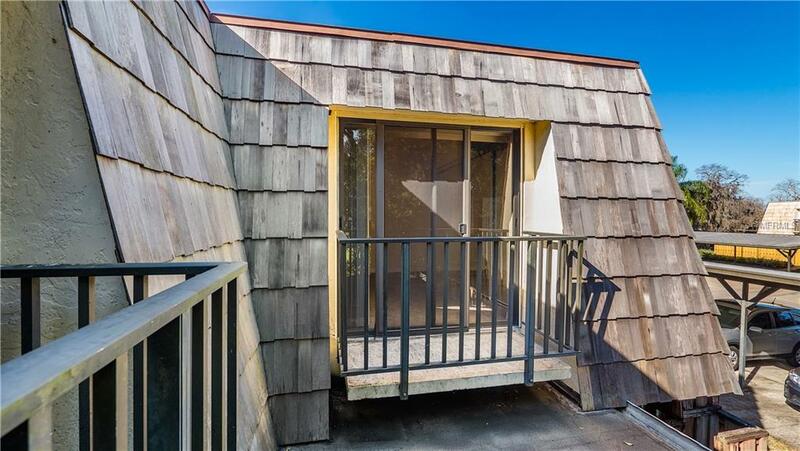 As you are walking upstairs there are beautiful accent mirrors, master bedroom that features a walk-in closet, ceiling fan and sliding glass doors that open to a small balcony. The master bath has dual sinks and a shower with glass doors. The second bedroom has a huge closet, ceiling fan, sliding glass doors and it's own bathroom with a tub/shower combo. 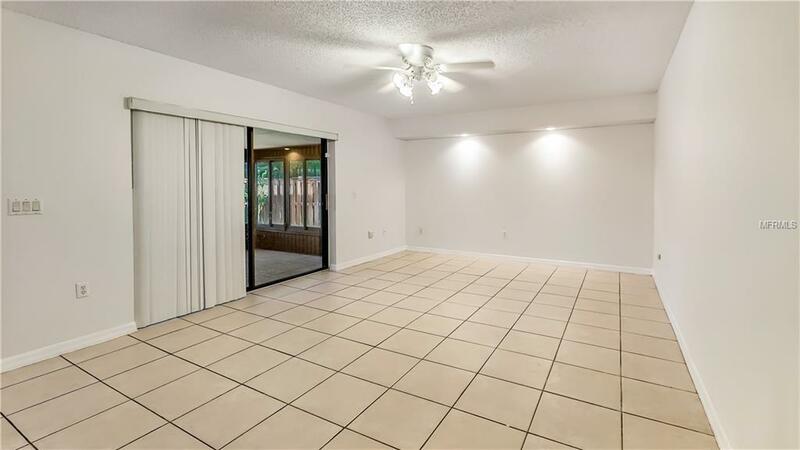 The exterior features a 17x18 screened/enclosed patio with vinyl windows, ceramic tile, an additional uncovered patio space for all of your barbeque and entertaining needs, 2 parking spaces, nice landscaping and is completely fenced. The community features a beautiful pool, fitness center, recreational area and is close to shopping, schools and major highways. MAKE YOUR APPOINTMENT TODYAY! !